Google admitted to the outage and said that it was caused by a temporary outage in the contacts system that prevented Gmail from loading up properly. However, the company assured that all mails were safe. The outage seemed to have affected a subset of users. 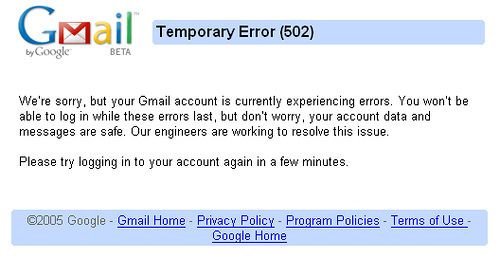 This is probably the first time Gmail has suffered an outage. Things seem to have gone back to normal now.